Cranial osteopaths believe that there is an important relationship between osteopathy and dentistry: conditions affecting the mouth and teeth can have a very direct effect on the rest of the body. The face is composed of a number of different bones. Some of these bones are very delicate, and they are intricately linked together in a very complex way. All the bones of the face, like those in the rest of the skull, are free to move very minutely, which they do in a gentle rhythmical way. Cranial osteopaths believe that this movement is important in maintaining drainage of the sinuses, and permitting the free passage of air through the nose. Trauma to the face may restrict the normal movement between the bones, and can have very wide reaching effects in the whole body. 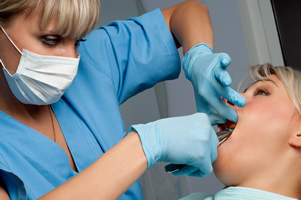 One of the most common causes of trauma is dental treatment. Sinus and ear problems, headache, migraine, neck or lower back pain. The immediate pain and tenderness after an extraction can mean that one side of the mouth cannot be used for chewing, thus creating an unequal bite with resultant strain on the rest of the face, head and neck. This situation can persist if there are gaps left between the teeth, particularly if more than one gap exists. An upper plate or denture has the effect of holding the bones of the upper jaw rigidly together, preventing or severely limiting their natural movement. Headache, congested sinuses, ear problems, eye strain. Plates and dentures should be removed at night to allow the face to free itself off for some hours during each 24 hour cycle. Loss of all the teeth leads eventually to a loss of bone from the face. It is important that the correct distance or height between the upper and lower jaw is maintained. If the height of the teeth is wrong this can cause imbalance in the action of the jaw muscles and a marked degree of tension in the face and jaw. Dentures should be replaced regularly as they wear down, and may have to be built up to allow for bone loss over a period of time. Occasionally people have all their back teeth removed leaving just the front incisors. If no dentures are worn, all biting and chewing is done on the front teeth. This places enormous strain on the structures of the head and neck. It almost always leads to a great deal of neck tension, causing headaches and neck pain. 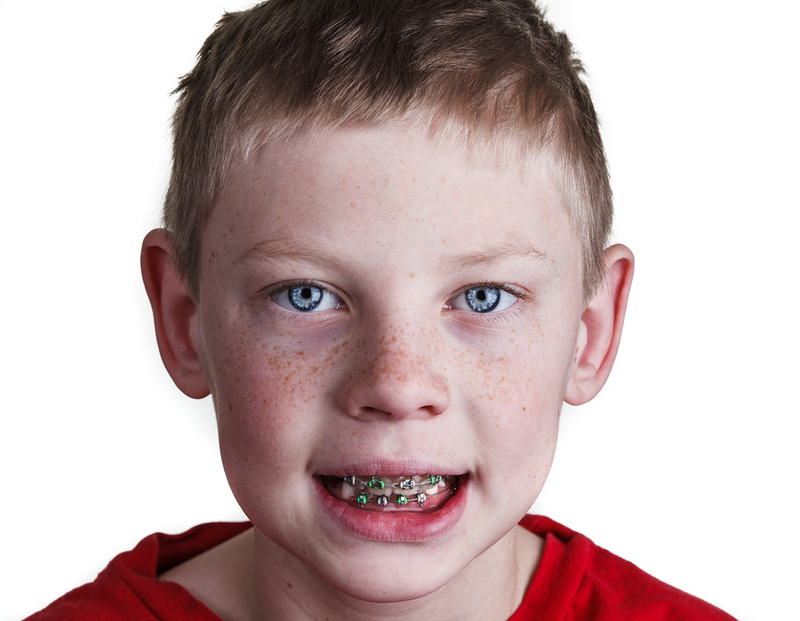 Orthodontic treatment has a dramatic effect on the normal functioning of the face, and can have repercussions throughout the whole body. Enormous stresses are imposed through the bones of the face as the teeth are forcibly moved in their sockets. This restricts and disrupts normal motion of the facial bones, and can cause tension back into the head and neck. This sometimes affects the posture of the head on the neck, and can lead to problems elsewhere as the body tries to adapt. Headache, clicking jaw, painful joints, irritability, reduced concentration, neck pain, lowered immunity and an increased vulnerability to musculoskeletal strains. The stresses do not always dissipate, and are often palpable many years later in adults. Bridges generally cause no problem within the mechanics of the face. The exception is a midline bridge across the two upper front teeth. In this situation the bones of the upper jaw become permanently fixed together, which prevents the normal slight movement between the bones. The stress induced by a fixed midline bridge will highlight any area of weakness in the body. Symptoms can be almost anything including headache, sinus or ear problems, neck and back pain, even knee and foot pain. Pain and clicking in the temperomandibular joint (TMJ) is fairly common. There are many causes, one of which may be stresses and tensions through the head, face or teeth. Tension, tenderness and irritability in the muscles of the face, head and neck. AFTER the brace is removed, to check for any lasting effects. It may seem after reading this that any dental treatment should be avoided! This is definitely not the case, and much dental work is skilfully performed with the minimum of stress to the mechanics of the face. However, it does highlight the very important connection between stresses resulting from dental treatment, and the types of problems that osteopaths see. The wide subject of facial mechanics is a fascinating one which is often relevant to the patient's presenting symptoms. Obviously if there is a dental problem that is consistently aggravating and causing stress, it is important to have this dealt with by a dentist. Cranial osteopathic techniques to treat strains within the face are very gentle.